Newegg has an incredible deal on our favorite PC case from 2016, which is still one of the better enclosures you can buy. 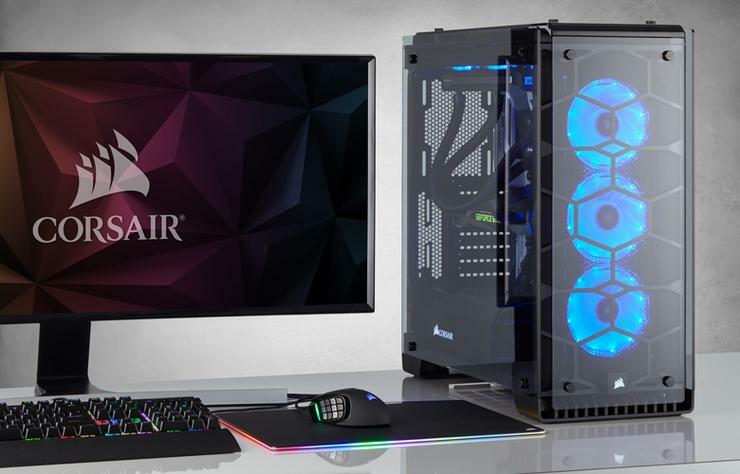 The Corsair Crystal series 570X RGB is just $100Remove non-product link until Saturday after a discount and a $20 rebate. This case normally retails between $160 and $180, and the best price we’d ever seen before today was $140 during the holiday season in 2017. The Corsair 570X is an absolutely beautiful ATX mid-tower case. In fact, we liked it so much that it now houses our new dedicated GPU test system, and it’s an example of a PC case done right in PCWorld’s guide on how to pick the perfect PC case. The top, front, and sides of the 570X are all tempered glass, allowing you to see the insides of your PC from almost any angle. (Make sure your cable management is up to snuff!) The front packs three customizable SP120 RGB LED fans, and the 570X can take up to six case fans altogether in 360mm, 280mm, and 120mm sizes. The case features seven expansion slots, two 3.5-inch hard drive bays, two 2.5-inch drive bays, and cable routing channels with wire-wrangling straps. Suffice to say, there’s enough room in this case to cram everything you want into your next gaming PC, and all the tools you need to make it look pretty. While the glass takes up the bulk of the Corsair 570X’s look the chassis itself comes in black steel, black, red, or white. The Corsair 570X is a steal at $100, and a fantastic gift option for the PC gamer in your life... or as a little something extra for yourself this holiday season.